Are you going on holiday or working away? Don’t want to impose upon neighbours, family or friends? Are you unhappy about locking your cat in a cattery? Do you have a rescue cat and do not wish to cause them any more unnecessary emotional stress and suffering? CatsCompanion is a Milton Keynes based, professional, fully insured and police checked pet sitting service. We provide daily visits with your pet in the comfort of their own environment, which will reduce the stress on your animal while you are away. We have a passion for the welfare of animals and understand that your pet is an integral part of your family. CatsCompanion specialise in the care of rescue cats who, due to their past experiences, may have higher levels of stress and anxiety when taken out of their normal environment. 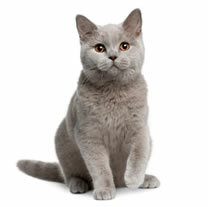 Cats Companion is registered with NARP - National Association of Registered Petsitters.